To be taken at (country): Scholarships are available in the following 5 UK Universities: University of Aberdeen, University of Cranfield, University of Leeds, University of Strathclyde, and University of Liverpool. About the Award: This scheme was launched in October 2012 and is being managed by the British Council. The first 10 beneficiaries and second 13 beneficiaries left to the United Kingdom for their studies in 2013 and 2014 respectively. Value of Scholarship: The scholarship is valued at between $60,000 and $69,000, depending on the course. How to Apply: It is important to go through the Application Requirements and note all necessary documents before applying. 2. Password must contain, CAPITAL LETTER, small letter, num3ric, and any of these(-.,/*). Important Notes: All requested documents must be attached. Only shortlisted applicants shall be invited for the selection interview. Applicants are therefore advised to be on the lookout for the short list on the NLNG website. 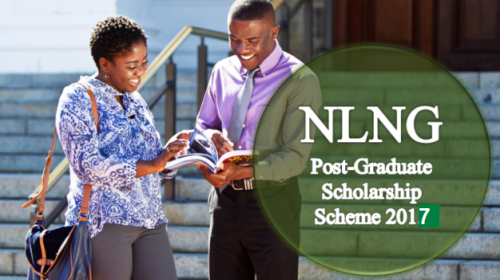 Now that all the information about Nigeria LNG Limited (NLNG) Scholarship Scheme for Nigerian Students to Study in UK has been delivered nicely; talented students who are eager to pursue their Free Tuition/Scholarships/Study in UK can apply now.